Being the lowest price SUV on the market isn’t necessarily the moniker many models want to carry but the Jeep Patriot has proudly worn this title for several years and continues to be a model that can make a lot of sense to you when you’re shopping for the SUV that will serve you well for the next several years. This can be the right SUV for you to experience on the roads in the Fort Lauderdale area and make sure you can have the SUV you’ll drive with pride. What makes the Jeep Patriot the right choice for you to drive? Not only is this amazing small SUV one that comes to you at the lowest price you’ll find this is also an SUV that still carries, wears and is a Jeep. If you want to see what this impressive SUV has to offer for you, it’s time to see the team at Massey Yardley Jeep Chrysler Dodge Ram in Plantation, FL to make sure you can have the drive you’re looking for in Fort Lauderdale when you’re searching for a model that will give you the 4WD system you want and many other features to enjoy as well. There are two different 4WD systems offered on the Jeep Patriot to make sure you can have the vehicle you’re ready to experience on the roads in the Fort Lauderdale area. The first one is the Freedom Drive I which is a full-time 4WD system that won’t reduce the fuel mileage of the SUV you drive. You’ll still be able to enjoy the towing capabilities as well and know that you’ll have the quality vehicles you want when you’re ready to drive on the roads in your area where you can have the performance you want. Another one of the impressive versions of the 4WD system you can enjoy when you’re out on the trails and roads in your area is the Freedom Drive II Off-Road Package. This is the system you want when you know you’re going to take the Jeep Patriot you own out to the trails for some adventure. This system adds all-terrain tires, skidplates, tow hooks, and a low-range model to make it possible for you to tackle small boulders and roots when you head out to the trails in the Fort Lauderdale area. Just because the Jeep Patriot is the least expensive jeep you’ll find doesn’t mean it’s one that forgets to provide you with the drive and qualities you want. 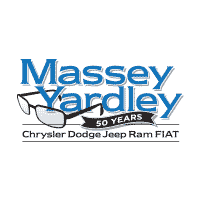 Make your way to see the team at Massey Yardley Jeep Chrysler Dodge Ram in Plantation, FL to take a look at what this amazing dealership has to offer for you. Make your way to this dealership and find the right version of the Jeep Patriot to make sure you’re going to have to enjoy the drive you’re looking for on the roads and trails in your Fort Lauderdale area today.